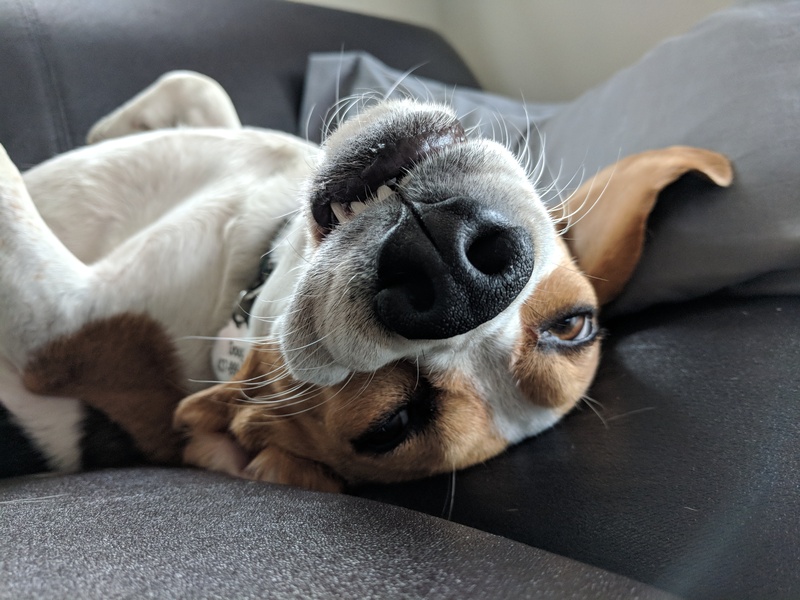 My dog's modelling career is an example of something not going so well. If you're a freelancer, just starting out or merely curious, I hope some of the below will be helpful to you. I've tried to cover a little bit of everything: getting started, finding clients, pricing, work/life balance, motivation, software and processes. It's long, but it's been a steep learning curve. Skim reading's always an option! The usual advice people give new freelancers is to either save up enough to live for at least six months or start building your business on the side until you have enough work to keep you going. My move into freelance life came shortly after moving to a new country (using a lot of my savings to start a new life) and working at a start-up for a year (where I used most of my remaining savings makings ends meet). 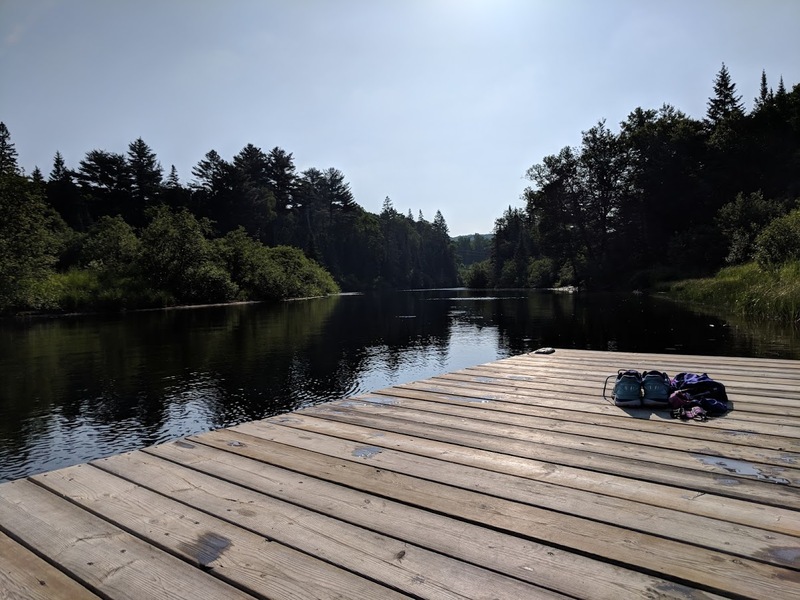 Saving money at the start-up simply wasn't possible and I didn't have the energy to build my business on the side so I quit my job, spent a week unwinding in the wilderness at Algonquin Park and starting my business. I was lucky to have a minor amount of savings left, a supportive partner and enough freelance work to muster up rent in my first couple of months but I wouldn't recommend it. Everyone's situation is different but I'd suggest making sure you have a safety net before jumping into freelance life. Another option is to find some part-time work while you're building up your business. I did apply for the local coffee and pet shops. I didn't head back from them but it was probably for the best since I wouldn't have had enough time to take on work that came along afterwards. It's not enough to be a generalist. Being a web developer, copywriter or designer is too broad a title and unlikely to set you apart from the crowd or bring up your name in search engines. I debated supporting a lot of technologies when I started: HubSpot, WordPress, Shopify... etc. and lots of different areas within those tools (web development, marketing automation, e-commerce... etc.) but quickly realised that it was too much and I would likely only be half decent at any of them. Jack of all trades, master of none, as they say. 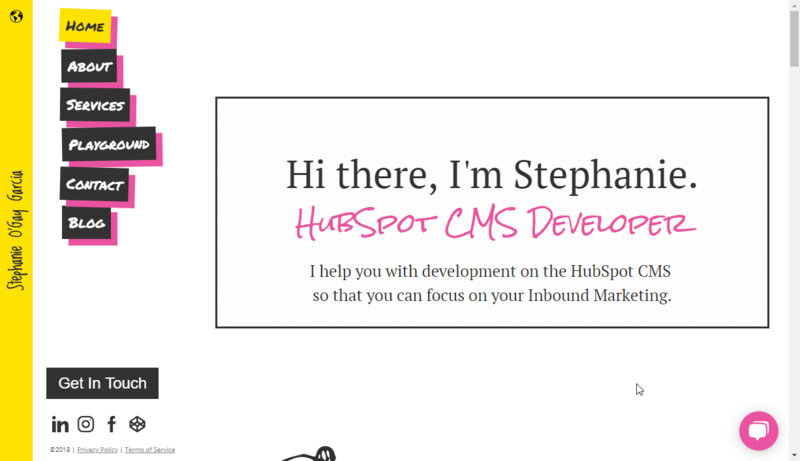 I finally narrowed it down to "HubSpot Web Design and Development". That alone is a huge area that requires me to know inbound marketing, design, development, the HubSpot software and how it all ties in together. It's also an area I have experience in, having worked as a Technical Consultant at HubSpot and studied/worked in web development for years. I'd recommend you do the same: don't just be a copywriter, be a specialist in writing landing pages for fin-tech companies. Don't just be a designer, specialise in creating awesome bottle labels for breweries. Find a niche that you enjoy and have experience in and make yourself the go-to person in that area. It might be scary (will there be enough clients?) but you will find clients and when they find you, they'll be amazed that they found exactly what they're looking for. 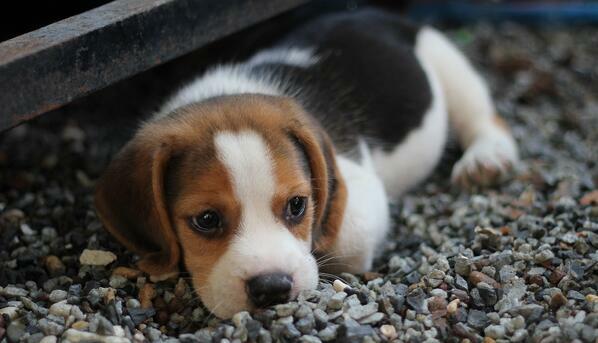 If you're a professional Puppy Namer, unfortunately you've probably gone a bit too specific. Companies looking for contractors or freelancers want to find the person that can help them with the exact problem they are trying to solve. Be that person, make sure you're the number one person to solve that issue. Once you've chosen your niche, brainstorm a list of services that you can offer. Research similar competitors and take a look at ads on freelancing sites for inspiration. Clients will likely also contact you with other requests you hadn't thought of which you can add to your list at a later stage. When I first started, I went for hourly pricing. My first few jobs were from OnTheBench - a freelancing site specifically for HubSpot tasks and, at the time, their minimum rate was USD $100/hour. To be completely honest, I was not expecting to charge that high but, seeing that it worked and that I got clients at that rate gave me the confidence to set my own prices at a similar level. I try to keep my rates reasonable, I don't change the highest prices out there but not the lowest ones either. One thing you have to bear in mind is that prices sound high if you're coming from salary work but, unlike salary work, you are the whole company. You need to factor in taxes, the time you spend accounting, marketing, emailing, blogging... etc. Unlike in a company where you might charge the client USD $375/hour (HubSpot Technical Consulting currently costs USD $1500 for a 4-hour block) but the consultant won't be paid anywhere near that (the company pays rent, electricity, employees who aren't client facing... etc. ), you need to charge higher than what you expect to receive. For every hour of work you get, you're probably spending another hour or two on marketing, sales or admin. I now charge differently. If the scope of the project is absolutely clear I will charge by the project, always making sure to specify exactly what the price covers and specify an hourly rate for any additional requirements. A clear example would be "here's a PSD file, please create this email". Clients prefer this as they know ahead of time what the cost will be and can budget accordingly. I also feel less guilty if I get stuck on something I feel I should know how to do (this is arguable since the time has been spent on that project and research is part of the job, but I try to be fair). If the scope of the project is less clear, I'll set an hourly rate and typically invoice on a weekly basis. Unfortunately it becomes tricky to estimate how much time you'll spend on a project otherwise. One of my main issues with hourly billing is that it doesn't give a sense of the overall cost, but you can try to estimate how long you reckon it will take to the best of your ability. It's better to overestimate and charge less than to underestimate and ask them for more money that they budgeted for at the end. Be sure to estimate the overall cost as others may be quoting a lower hourly rate but longer times. This is probably the most important part of the job, making sure you get paid and that terms are clearly laid out. I'm probably still not strict enough with my terms of service, but it's a work in progress. You don't want to be too rigid but you do want to protect yourself against scope creep (more and more additions to the project) and other forms of abuse. You can do this using a contract (probably the safest option) or setting them out in writing in an email or proposal. Be sure to specify the exact scope of the project, what happens if additional requirements are added on, how either party can cancel the agreement and payment terms. For project-based pricing: 25% upfront to block time in my calendar (this helps with planning), 25% on starting the project and the remaining 50% on completion. For hourly pricing: I bill weekly and specify that I reserve the right to stop working on the project if payment isn't made in a timely manner. In order to plan your time, I'd recommend having clients commit to x hours per week/month but if this isn't possible, I've found a sliding scale similar to the tax bracket works well (for example, the first 10 hours at X price, 11 - 15 hours at Y price, 16+ hours at Z price... etc.). You can estimate an average but it doesn't get astronomical during weeks where they need you more but you're not setting aside time with the risk of them not using it. Even a few hours will earn you some money. I also offer a 5% discount if the payment is made in full upfront. This guarantees that you'll get paid and helps with cash flow. Unfortunately, even though I specify "due upon receipt" many companies have their own accounting departments and process that might delay payments (although being larger companies means they're pretty likely to pay, even if it's a while after). I've been lucky to work with fantastic clients and haven't really had any problems but you will likely see delays and may even run into trouble at some stage. You'll see NET30, NET60 and even NET90 payment terms (days it will take to receive payment) which I honestly believe is antiquated (from back in the day when cheques needed to be issued) but, especially with larger companies, it's something you may need to factor in. Yes, there are a lot of freelancing sites out there (Upwork, Freelancer, PeoplePerHour... etc.) but honestly, I'd avoid them. Most of them have way too many users bidding at extremely low prices. Once you've chosen the right niche, market yourself as the expert in that area such as posting informative blogs on what you do. I, for example, try to write tutorials on how to develop in HubSpot and get traffic from them. Share your articles and others related to your business on social media. Find where your clients are: local events, online groups, forums and Slack channels and go to them. Be helpful and your potential clients will come to know you as an expert in your area. One place where I often spend time is on the HubSpot Community where I'm a top contributor and Community Champion. I spend a lot of time providing help for free but it also sets me up as a go-to person when it comes to HubSpot development. This is a tricky area. The problem with working for yourself is that there's always more you could be doing and you feel a huge amount of guilt and often results in your obsessing over work 24/7. It's hard to switch off. It kinda reminds me of student life where I wished I had a job I could just leave at the end of the day. I haven't completely solved this problem, but here are some things that work for me and that I'm working on. I initially tried working a typical 9-to-5 but, if I happened to do some laundry, walk the dog or take a long lunch break then I didn't feel that I deserved the stop and worked well into the evening. What I do now is work at least 6 hours a day. This doesn't sound like a lot, but if you think of a standard 9-to-5 employee, after an hour lunch break, two coffee breaks, bathroom breaks, chatting with colleagues... etc. they're probably doing about the same amount. In fact, I read an article today that claims that the average worker spends just 2 hours and 48 minutes of productive device time a day! That sounds crazy but I'd believe it, it can be hard to get in my 6 hours and end up taking 8 - 12 "real" hours to achieve if I procrastinate a lot. I use Toggl to track how much time I spend on everything: client projects, emails, blogging, learning... etc. It both lets me know if I've "worked enough" and also gives me a sense of where the time goes so that I can find areas to improve on. I use Asana (especially the calendar view) to set my to do list. As you mark them off it helps you feel like you've completed your work. I am not a fan of buzzwords but there is some logic here. Be present in what you're doing: when you're working, work. But when you're off, forget about work. If you're not going to do anything about it, thinking about it will just lead to stress and burnout which is of no use to either you or your clients. Chances are one of the reasons you want to freelance is freedom and flexibility, so enjoy it! You're not going to be perfect. There's always going to be something you could be doing more of or better, but you have to give yourself a break! For example, I'm not a huge fan of my current website. It was an experiment back in the day and, when I started freelancing, I just threw it up there. However, it's pretty poorly thought out and hard to update. My goal was to update my new website (and publish this blog... eherm) by New Year's Eve 2018 but, I had an exhausting November and December and took the Christmas holidays off, then focused on my client work throughout January. What I realised is, it doesn't matter. It's worked so far and yes, I can't wait to update it, but my sanity is more important. I do need to set some targets (or it'll never get done) but, if it takes a while longer then so be it. Companies need processes in order to make sure everyone's on the same page but, although you might think you can probably organise yourself without them, you'll need them too. Time. Understand how much time you dedicated in general, to each client, to each task... etc. Are you spending too long on emails? Did you bill enough for the hours you spent on a client? How long did you spend on marketing, proposals... etc. versus the ROI? You can also set targets for time spent on other tasks like learning (e.g. spend 2 hours a week learning a new skill). Money. If you break down your project earnings by time spent on them, are you making enough? Do you have enough to spend on your business (software, hardware, co-working spaces...), pay taxes and also make a living? Be focused. For example, I generally limit meetings to the morning, which gives me time to focus on design and development in the afternoons. Dedicate yourself to each task and don't get distracted by emails or other projects or you'll never get things done! Turn off notifications and close your inbox if needed. Be efficient. I've spent entire mornings going back and forth on email. I'm not the biggest phone person but just jump on a call. In just 10-20 minutes you can save hours of email time. Create templates for proposals and emails, have a code library, write soundbites to say on calls. This way you don't have to re-invent the wheel for each project. Take care of yourself. A stressed freelancer is not a good one. It's tempting to spend days on end sitting at home in your PJs but I found myself pacing around like a caged animal some evenings, restless after a day of not leaving the house at all. Take a shower, put on something nice and go for a walk. Even better, change your scenery, it took several months for me to be comfortable to splurge on a coffee shop but there are free options like public libraries. Prioritise your health! If you're overworked, your productivity goes down. If you're sick, you don't usually have sick leave. Learn how to plan. Initially everything was linear (one job after the next) but when I started to get busy I found myself swamped, even working all day every day (evenings and weekends included), I couldn't keep up and it's not pleasant. Make sure you know how much work you've committed to and make sure it's a reasonable amount (you shouldn't dedicate 8 hours a day to client work because you have to factor in emails, accounting, marketing... etc.). Invest in the right equipment. This might not be an option for you. When I started I was coming from an international move and a year working at a start-up so my savings had pretty much been fully depleted. However, after a few months in I was able to invest in a new laptop and monitor and my productivity has increased twofold! I've accumulated a good bit of software I use over the past several months and you may find some of it helpful. Having the right software helps make your life easier. Time management: Toggl. As I mentioned above, I use this to track everything I do to make sure I'm "doing enough work", check to see where the time goes and it helps estimate how long future projects will take based on similar projects. Email: Gmail. I've always loved Gmail so I use them for business. I have forwarding enabled to send and receive all my business emails from a specific Gmail account I created. Here's a post I created back in the day on how I manage in my inbox. Calendar: Google Calendars. I use Google Calendar to track meetings and events. I have integrations with Asana to view my to do list and with HubSpot's Meeting Scheduling. Meeting Scheduling: HubSpot. The meeting scheduling tool allows clients and leads to book time in my calendar. Pro tip: don't make your whole day available. Having three or four meetings spread out throughout the day prevents you from getting stuck into your actual work. Project Management: Asana. I use this tool to set up my "to do" list and set reminders such as "follow up with this person". Notes: Evernote and Google Docs. I'm an obsessive note taker and I use both of these tools to write down notes. However, nothing really replaces my ye olde notebook that I love to scribble in (it's also less distracting than typing when you're on a call or meeting a client). CRM: HubSpot. 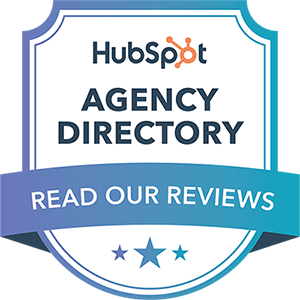 I have my email integrated with HubSpot and also write down notes on all my calls and meetings here as a way of keeping it all in the one place. This tool is free. Marketing: HubSpot. I'm lucky to have a Enterprise account on HubSpot as a former employee, I write blogs on HubSpot, create forms, have chat enabled and at some point may use automation and emails. Payments: Wave Apps, Stripe, PayPal. I used Way to issue issue professional looking invoices from it. When users prefer not to use Wave Payments I also offer PayPal as an option. Stripe is mostly for the HubSpot Marketplace. I'm currently looking into TransferWise as an option as well. Accounting: Wave Apps. I have my bank accounts and invoices all linked to Wave and do all my bookeeping there. Meetings: Zoom. I use this for video-conferencing and screensharing with clients. Video/Screenshots: SnagIt. It's paid, but an easy way to take quick videos and screenshots when showing clients how to use something, when I'm blogging or helping community users. Cloud Solution: Dropbox. I have the paid version and store all my documents here. They have revisions and backups. Chat: Slack. I use Slack to manage projects with some clients. Design: Adobe XD. I build website designs and prototypes on this tool. Planning: Cushion. A tool specifically for freelancers that I use to plan ahead and not overbook myself. They also have invoicing and a timer that probably ties in nicely, but I'm currently too used to Toggl and Wave. So is freelancing for you? It depends. What I love about freelancing is the "free" part: to a certain degree I get to choose my hours, projects, where I work from and who I work with. I can take a leisurely lunch, go for a walk or run or travel somewhere and work from there. I can choose to take two months off. It's up to me. The challenging parts can be finding the right jobs, perfecting that work/life balance and not having a stable and reliable income. But, at the end of the day, I love it and can't see myself going back to working for another anytime soon. Are you a freelancer or thinking about freelancing? Tell me more about your experience in the comments!